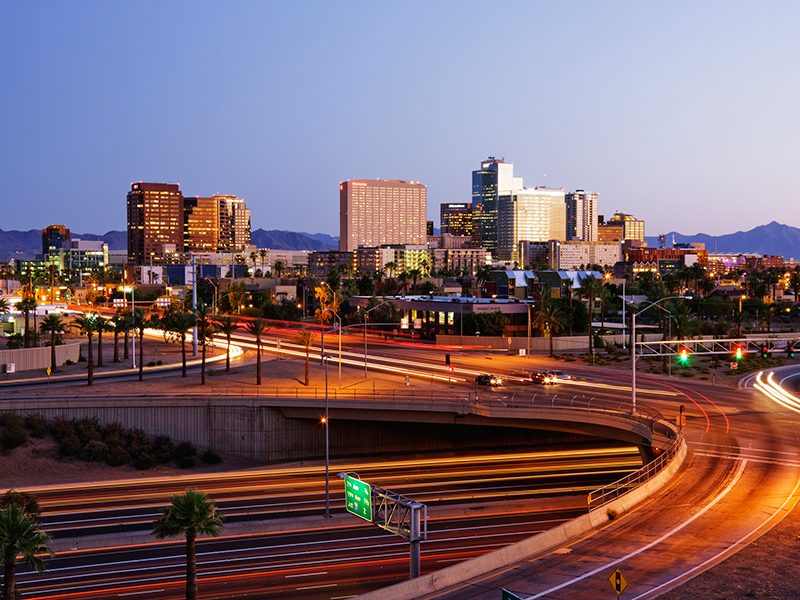 Foreign direct investment in Phoenix has been increasing as companies place greater importance on accessibility, finding the right workforce and business environment when considering where to locate their business. For European companies, establishing a footprint in the Western Hemisphere is a growing trend, and many businesses are moving their operations away from expensive coastal areas to the American Southwest. This move towards a more stable business environment is gaining the attention of companies wanting to locate their facilities or regional headquarters in the US. Kudelski Security is currently relocating to Phoenix. Richard Fennessy, the company’s CEO, told European CEO: “We looked to base our headquarters in Denver, Colorado. We have an office in the San Francisco Bay Area and looked there, but the best business case was made to locate the headquarters in Phoenix. It came down to workforce quality and pro-business environment.” The company is relocating its staff, including some of its top management, and plans to hire nearly 350 personnel for the headquarters in 2019. Phoenix, Arizona’s capital, has a population of 1.62 million and was America’s fastest-growing city in 2016. One of Arizona State University’s campuses is located in Downtown Phoenix. The university was recognised as the most innovative university in America by US News and World Report for the third year in a row in 2017. The Phoenix area is attracting the attention of foreign-owned technology, financial services and health and life science companies. Phoenix, the fifth-largest city in the US, saw its economy grow more than 50 percent faster than the US economy in 2016, according to the US Bureau of Economic Analysis. Companies are impressed with the low cost of doing business in Phoenix, which is substantially less than on the coast. Additionally, according to the US Census Bureau, Phoenix has one of the shortest commute times among America’s largest metropolitan areas. The Phoenix workforce is drawing attention as well: in 2017, CBS Money and ZipRecruiter tagged the metropolitan area as the third-fastest-growing technology centre in the US. It ranks seventh in terms of job growth. “We need to reach facilities on four continents,” said Madhavpeddi. “Phoenix has short hops to connecting international flights, and a non-stop flight to London.” Non-stop flights to Frankfurt will launch in spring 2018. USA Today ranked Phoenix Sky Harbor International Airport as the best airport in the US in 2016, while TravelSavvy.com called it America’s friendliest airport in 2017.